As if La Petite Robe Noire, on which we had reported and commented at length on these pages a little while ago (here is the link if you missed it), wasn't enough, Guerlain is issuing this coming spring a couple of flankers that have me wondering a bit about what exactly is happening in the venerable house that I so love. In the interests of reportage and juicy commentary however, let me plunge into more details, nevertheless. First there are two flankers: on the iconic Shalimar and the newly re-issued Eau de Shalimar. They are tagged "Flower" and if that reminds you of Kenzo with all that powder which is also a trait of the classic Shalimar, then I can't blame you! It's uncertain if they are merely limited edition bottles (it seems so) or if they also entail rejinging of the jus for a new scent; and I would welcome official corroboration on that score. If it entails a new scent formula, it would be a little ironic than in a category which Guerlain literally lain the path on with their bare hands (ie. that of good, delectable vanilla) they feel the need to bring out a flanker that sounds like it is playing with something that is a redundancy. There is already the darkly boozy Spiritueuse Double Vanille in their line, which recently joined the permanent collection due to public demand, and Shalimar highlights vanilla pretty well in both the classic version (no matter how tampered it might be with through the years) and in Eau de Shalimar where it goes for the more lemon-cupcakes-accord. Wouldn't the talents of Thierry Wasser ~who had such fond memories of his fathers' driving gloves as to quote them as a constant inspiration in an interview which appeared at the time he was appointed in-house perfumer for Guerlain~ better be used elsewhere, if so? If, on the other hand, it is only a matter of specially-made bottles (and it is hinted from the above that it could as per my "reading" of it) which will circulate for rekindling the desire for Shalimar, why are they necessary at a time when the new commercials with Natalia Vodianova have already brought Shalimar in the limelight and the eye of a younger crowd who could be easily seduced to try a proper perfume like this through this fashionable and tastefully done Paolo Roversi campaign? Wasn't it enough? Wouldn't all that energy, budget and talent be employed in a new fragrance that could become a new classic? Shalimar Flower Eau de Parfum 75ml retailing for $123, available in March through Guerlain boutiques exclusively. Eau de Shalimar Flower Eau de Toilette 75ml retailing for $97, available in March through Guerlain boutiques exclusively. Two things strike me as odd: First, isn't it a little sacrilegious to rejingle Mitsouko of all things? Since the original is already rather unrecognisable because of the -necessary alas!- reworking of the formula in order to meet with the standards recommended by the IFRA regulations on oakmoss and allergens, isn't this attempt to provide an aqueaous* note rather antithetical with the rich character of this legendary fruity chypre which is exactly so celebrated because of it? The light blue bottle doesn't bode well with me personally (blue so often means a screetchy ozonic on the perfume counters...) However since Vol de Nuit Evasion was completely unrelated to the older classic oriental Vol de Nuit smell-wise, and utterly lovely in its own right, I am very willing to believe that we might have a similar case here with Mitsouko Fleur de Lotus. Secondly, it's a little odd that Jean Paul Guerlain is still referenced as the creator of new juice. I realise that some creative control still applies and his approval is asked, naturally ~it's only good manners and courtesy to his illustrious history and lineage after all~ but what happened to Thierry Wasser and Sylvaine Delacourte? Aren't they at the head of fragrance development? Now that we're at it, La Petite Robe Noire is credited to Sylvaine and Delphine Jelk, I hear . Again, what about Thierry? I hope official info becomes available on those pressing points and when they do I will announce them and comment on them with more informed views. And for those who have been hankering after the customary issue of Guerlain Muguet on the 1st of May (lily of the valley/muguet is the traditional flower to be offered for May 1st in France and Guerlain had issued limited editions in the past to honour that) , this year's edition includes jasmine, Turkish rose, lemon and sandalwood in a 60ml/2oz flacon retailing for $350, available in May through Guerlain boutiques exclusively. Now that hydroxycitronellal and Lilial are heavily restricted I wonder how they will be able to render an intense lily of the valley note (something that is also a pressing concern for the latest Diorissimo batches), but that remains to be seen, I guess. The price however has relaxed a tiny bit, as the 2007 edition was $285 for only 30ml/1oz in a Bacarrat bottle! info & pic via Beautyalchemist. Oh great! Do we need more flankers, especially with these classics? Mitsouko has always been synonymous with chypre... and now, they introduce a lotus (aquatic floral) element to it which is totally at odds with how people remember and appreciate Mitsouko in its original form. My love for Guerlain is going to be a thing of the past... literally. Only vintages from this house for me. Hi T! How are you? The Mitsouko flanker sounds particularly weird. I am holding out judgement of course till I sniff. The VdNE sounded completely ridiculous, but it proved to be very good, so this might as well. (who know, it might be something completely different, just using the Mitsouko name). But I agree that the vintages are unsurpassed. It's like mixing vintage champagne with orange squash really isn't it. I wish they'd stop defacing my favourite perfume bottle too. If they do any icky L'Heure Bleu flankers I will actually cry. it is...And the Anglofrench names are somehow weird. At any rate, since Mitsouko is appreciated but -I venture- not that easy on most ie.selling that well (although I know a core of fans, we are fanatical about our love for it and have had multiple bottles over the years), maybe the modernisation is aiming at catching a market of perfume enthusiasts who want to have a Mitsouko version they can actually wear instead of admire. It would be lovely to bring Mitsouko to the attention of more people and I do sympathise with them. They have some beautifully crafted scents that are probably under appreciated in the world away from people like us and it must be tricky to marry their heritage with staying in the mass market. I fear you are probably very correct about LB but I will be sick when I see the candied violet bottle and cry! If they commisioned someone to do something interesting with LB as a starting point more in the vein of L'eau D'Hiver from Apres L'Ondee I could understand- in fact I would be very happy. I think it's exactly that they haven't found the perfect way to marry those two elements: history and mass market appeal. I think it's quite difficult, really, so I can't feel some sympathy towards their efforts. Too often one does not walk hand in hand with the other (mass market demands X things and their heritage would suggest Y things). In any case, the L'heure bleue flanker is just a speculation on my part at this point, so I can't be sure. To my eyes, the paradigm of L'eau d'Hiver is more of a personalised homage to someone else's classic vision than a modernisation for modernisation's sake, which is probably why it works so mighty fine in the first place! I meant "can't but feel some sympathy towards their efforts". Grrr...fingers running away on their own! I agree with your reading of the two Shalimar scents - it sounds like simple LE's in new bottles. I notice also that they are attributing these scents to Jacques so doubtful they've been re-worked. I hadn't thought of it until I read it here, but again, I think you've got it: the Mitsouko F de L may have NO relation to Mitsouko much like the VdN and VdNE. Brilliant as always dear Helg! And personally I'm thrilled that Jean Paul is still composing...but it does make one wonder where M. Wasser is?!? Have they changed their minds about using him? Trying to ease him out? And sorry to beat a dead (or dying) horse, but do you know the latest on the Mitsouko reformulations? The most recent info I could find was your post of some time ago saying that the EdT had been reformulated in the summer of '07 and they were working on the other strengths. My fervent prayer is that they'll leave the extrait alone! Hello! yes I agree I can't help but feel some sympathy too. Yes completely agree about outsourcing work! Yes I absolutely agree about LDH and why it works. I don't know how costly or feasible it would be but if Guerlain commisionned some of the current greats to re interpret some of their greats I would be very interested in their work. That would probably persuade me to part with my money a lot more than the current new offerings! thanks for chimming in, honey and for your compliment. Really, I'm just using a bit of logical thinking into the info. And isn't it a terribly short time in which to judge and talk about easing anyone out? I doubt the effects of any campaign/launch/whatever new can be accurately judge unless at least a couple of years have passed! Therefore such a course doesn't seem likely to me. The litmus test is about three-years time for new releases (although it's getting shorter and shorter all the time). So you see, it's all very...weird. Re: Mitsouko: Yes, correct, it was the PR info that they had began reformulation of the lesser concentrations first and progressing to the rest later on. By autumn '07 one writer was questioning the positive feedback that the reformulated Mitsouko was receiving from a well-known critic. By winter 07 I had stockpiled as much of the old formula I could find. By summer '08 I didn't see any old bottles on counters. The extrait however is not usually on counters for testing and so I can't know about the stock carried, unless I specifically ask to see the batch codes ~which isn't too practical. I do believe that it must have been already reformulated too, though; however most people don't plunge for the extrait so often as with lessser concentrations which are used in greater dosage and the testers in stores are not for that specifically (but rather for EDT/EDP), so there has been no great outcry (yet) concerning the extrait de parfum and it just floats there as a "hope" for vintage lovers. But if the extrait de parfum is still left intact after almost two years since the reformulations began, there would be no uniformity in the observance of EU and IFRA requirements across the line and the letter of mme Rousseau was indicative that the headquarters want to comply with every possible concern about possible risks! (ie. lowering the oakmoss and other allergens dosages to what is recommended). So you see, it's all just rational thinking on my part. I don't know why that would be expected to be so hard to stem from perfume lovers' minds! Hi Helg, I don't know what to think about Lotus. I have no favourite lotus scent. But Mitsouko is so great scent that even this flanker deserves a chance, doesn't it? the idea of commissioning other perfumers from outside the house to re-interpret the Guerlain greats while the finished products remaining out of the house is non doable for all the obvious reasons: They can't have something so close to their core done from outsider forces without some form of control over the product, can they? If on the other hand, great perfumers from outside the Guerlain house were outsourced and commissioned to do the re-interpretations as a sort of "hommage a Mitsouko", "hommage a L'Heure Bleue", then why did they appoint an in-house nose with all the fanfare that entailed in the first place? Even if they think this is an interesting idea (and it is! ), they can't do that now. Well, I agree that it deserves a chance, so I am hoping they created something quite different and lovely (the best possible scenario) rather than just giving an acqueous top and a thinned-out base (which is the worst possible scenario). I am looking forward to testing and seeing for myself! And very eager to say "I was wrong!". Can you feel me CRINGING from here ??? HOW can one use the words MITSOUKO and LOTUS in the same sentence ???? But I can't fathom HOW this would improve upon the original. I'm somewhat less skeptical about the Shalimar- although I hesitate to screw around with perfection. I still cling to the vestiges of an old Muguet I keep tucked away. Will dutifully sniff, but I'm not too thrilled, I guess. Love you far more than olives, my Hellenic honey. Oh my goodness E, Chaya said it all. I am simply horrified by the idea of a Mitsouko adulterated in this way, horrified I say! And if they as much as sniff a bottle of l'Heure Bleue then that's it. Words fail me. They won't dare touch Shalimar, surely? Pretty bottles are fine, go ahead, but don't touch my Shalimar you people who aren't Guerlains, do you hear me? All I can say is thank goodness for my 16 bottles (and counting) of vintage Shalimar and somewhat fewer (but still a lot) of Mitsouko. Thanks as always, though, for keeping us up to date on the goings-on chez Guerlain, dear. This post is sort of an epic tragedy, E. It makes me terribly sad, but the themes are all too familiar. I feel oddly fortunate that my beloved My Sin is already dead. It would be awful to watch it slowly eviscerated, as Guerlain is doing to Mitsouko. As a lotus lover, though, you've inspired a question: Is it really impossible to extract natural lotus scent? What about the attars and absolutes out there? Surely they originate in the real flower. Have I been completely duped all this time? hope you're well and perish the thought I am distressing you. The Mitsouko one is a bit different. It does sound a bit jarring. I don't know...I guess I will reject/accept when I smell it. After all they gave us Insolence (which sounded horrific at the press release, but is quite Guerlain in spirit) and Vol de Nuit Evasion, so there's some hope yet...although I am not too optimistic: there's simply TOO MUCH JUICE churned out for it to be all outstanding. thank you darling for your kind words on the -perhaps rambling- commentary I make. Something tells me that L'Heure Bleue has escaped for too long and guess what: it originally came in this iconic bottle, so it's a natural for future modernised versions, isn't it? Whoah! You have hoarded more bottles than I have! Are you planning on bequesting some to descendants of the family? (LOL) Soooo much juice! Enjoy!! You're right about the lotus. That's a given,I don't think you have been fooled, it's just that the industry uses reconstitutions most of the time. I am adding a question mark beside it, so it doesn't sound like such an aphorism. Thanks for pointing it out! interesting observation! You think this is a "pointing a finger at" move? I kinda thought it was the other way around (trying to give a sense of tradition). Hmmmm...You intrigue me! It's definitely confusing and I wish they'd issue some clearer info. "How far can they be of re-issuing My Sin in some heinous reformulation? *knock on wood*"
Being a recent convert, I'd have to agree on the spaceship appointment! I'm going to be the pariah here and say that I look forward to trying this lotus version, whatever it is. Fleur de Liane was also a pretty watery/aquatic scent that really impressed me, which I was not expecting. Let's be hopeful for the future of the house of Guerlain....even if a blue mitsy bottle seems a bit, dire. no, no pariahs here, I assure you. In fact I am curious myself and hoping for the best. Without actual juice in front of me, what can I do but hypothesize? We will find out soon enough! you are not the one confusing me, no need to apologise, it's the diverse info that comes from right and left. Yes, I recall the case (although EdS is not that atrocious; well, not perfect, but not as horrible as it's made out to be). 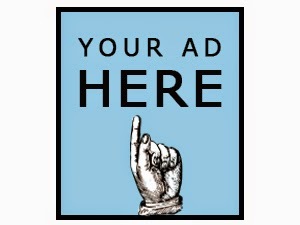 Oh, I don't know, I suppose there will be a formal attribution when it gets out on the market. I certainly hope so! Inquiring minds want to know. Something smells weird at Guerlain, doesn't it, E? Shalimar Flower sounds mildly interesting, but the Mitsouko flankers? Maybe it's a new fragrance altogether. Please keep us posted, darling. I really have nothing else to say. It's almost too much for my little brain to take in and comprehend. the more I think about it, the more I believe it's like that: two collectors' bottles for Shalimar and a new fragrance with just the name Mitsouko plastered on it. Of course I will report when I sniff them. Hugs to you as well! The first thing that came to my mind: flanker-o-rama. Second: wow this is really freaking me out. Q. What does Guerlain need? A. Direction that understands that Guerlain is a house, you come to it, it doesn't come to you. No allowances made for age and ignorance; educate yourself, or you'll miss out, it's your loss. It does look grim. Guerlain shouldn't need to talk down to anyone, that's why their works endured. But I suppose one should wait to pass judgment until one sniffs. Guerlain are seriously wrong here: compare them to Chanel's coherent marketing strategy. Even though they have to be careful not to dilute their brand with the likes of more Chance/Coco Mad clones Chanel still produce interesting quality perfumes with a clear house style/brand. Whereas Guerlain is tainting their masterpieces in this way. 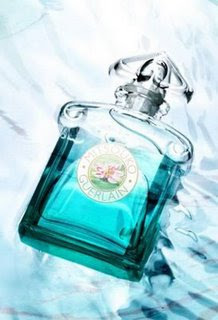 Whatever the perfume is like, anything in blue bottle is inherently wrong in connection with Mitsouko - a green, peach, rich brown scent. And if it is a good perfume then give it a new name and bottle. In the UK I've seen a striking example of the inept Guerlain marketing.A tiny little placard on the counter announcing the fact that three of their (classic) perfumes are nominated in the top ten in the Guide - apologetically hidden. No classic bottles other than Shalimar in sight. Just all the recent disasters. No bath products for Mitsouko - why not bring out the complete set instead of a flanker. Another thing Chanel get right - I'm much more a Guerlain girl than a Chanel but sometimes succumb to the temptation to wear a Chanel when going out just for the girly fun ritual of using all the bath products. Missed opportunities: I'll stick to vintage Guerlains, Chanel,Divine Roja Dove's perfumes in future. you certainly have a point about the "you come to it, it doesn't come to you" concept! Well said! There is this sense of the most classical perfume house (not fashion-based, not cosmetics-based primarily, first and foremost perfume! )which is escaping slowly. excellent points (you worded my gripe against the blue colour for Mitsouko marvelously!) and something I missed entirely and is sooooo true: the ancilary products for the classic scents (I mean apart from Shalimar obviously!). And Hermes is probably the most luxe major brand at this very minute, in this field. Oh my... horror or anticipation? A mix of both is inside my heart and i will not find rest until i sniff myself but i have a funny feeling in mystomach until then... what are they doing? I it planned,part of the strategy to do blindflight regarding the house perfumers? I don't understand at all. Thank you for that heaven of a BLOG, dear E.! The body products are such a great point. Part of the reason I tried so hard to like L'Instant was because I wanted that perfumed body cream!! How heavenly would a Mitsouko body cream be? Read your musing this morning and decided to wait for a few hours before giving you a reply, so here I am. Firstly, at this point I am indifferent either way. What one resists shall persist; after all, I for one is littered with so many personal projects--I certainly won't let a few flankers affect my life. You see, while people like you and me are attached to Guerlain's past I'm sure you are all too aware that this entity is a different breed altogether nowadays. The idea of producing flankers is obviously not new--YSL Opium, for one, had its share of nicely decorated bottles. So I think what surprises perfumistas is how desparate the whole thing looks--it's just so forced, that's all. A lot of "marketing says" and not enough "Jacques Guerlain says". As I've said many, many times before--Guerlain has always been a very complicated firm to work for. While every firm has its strange customs Guerlain...has its issues. Reinvention, in general, is always easier when the originator dies or leaves. (That's why Givenchy never bothers chatting fashion with Ricardo Tisci.) Mark my words: there's a lot of politics that goes on in Guerlain and we're just seeing the tip of the iceberg. I'm sure you too is aware that attributing a scent to JPG means largely nothing (ditto). Wasser has excused himself by saying that "nobody can do everything at Guerlain" so he is working on a women's fragrance with his long-time "partner" Annick Ménardo. As for the in-house issue I have no idea. thanks so much for your great compliment! can't but agree! There was a body line for all the classic scents: from powder to soap to lotion. At some point this vanished into thin air (probably people were not buying luxury soaps and powders that much, I believe it was the advent of shower gels and powdering was considered "passe" by then). It's a pity. I do hope they re-introduce them! there is definitely some much more complicated working behind the scenes of which we're privy to only a small part of, as you say. Unless one is directly implicated IN the firm, one cannot draw accurate conclusions based on the info we're gathering from our sources, no matter how trustworthy they might be. Therefore I have withheld passing judgement and I am merely throwing this on the table for discussion. From the lively discussion that is going in both comments here and in private mails to me, I can see that there is concern and in fact much interest in the house's present and future. We won't die over this, obviously, but it's something that interests us nevertheless. This is potentially good for them! It shows there is an active participation from perfume lovers and this is invaluable feedback, feedback other firms would have to pay to have it provided to them. Here they are getting it for free, on this venue and on others where Guerlain is discussed! I'd call this a chance to put the ear closely on the pulse. As to flankers, surely, it's the market's way for some time now and God knows how many Opium flankers there have been so far! (YSL has issued so many on their frags over the years, haven't they). But the difference is the Opium flankers are excellently made (there is not one of them which is not good) as are the Paris ones (from what I have tested, I might be excused if I missed one along the way) and like I have already mentioned YSL is not primarily a perfume house: They're fashion expanding on cosmetics and perfume (never mind those last two account for more than 75% their revenue I'd venture!). Guerlain on the other hand is first and foremost a perfume house. A real perfume house. And this is their luck and misfortune at the same time. now I see. That was what I thought too (the two not compatible). Lotus Absolute is available on the market since several years and is favored by several perfumers :) The launch of this new material had even an extensive article on P&F some time ago (about extraction method and analysis). Ah, thanks Octavian! (I must have been thinking of water lily possibly?) 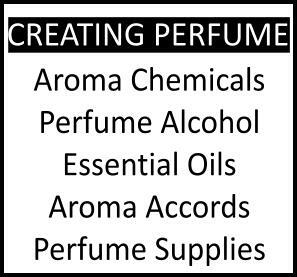 I seem to recall that David Pybus was reconstructing some lotus perfumes from ancient Egypt: have you tried any of them? I rarely have the time to read every comment in full detail, but I found the range of reactions to the flankers to be fascinating. My own opinion shifted a few times as I was reading through them. Although I will try to take the "wait and see" approach, I continue to have a strongly negative visceral reaction to attaching new names, bottles, colors and/or scents to these grand classics. I do not have this reaction to the Opium flankers, even though I wore Opium for a number of years in my late teens/early twenties. I had a slightly puzzled reaction to naming VdN Evasion as a flanker to VdN, but I wasn't particularly dismayed by the decision. But I must say that even if I like Mitsouko Fleur de Lotus, I predict that I will still be a bit discouraged by the name. 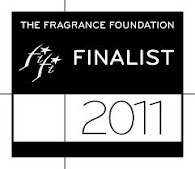 it's certainly brought up all the gamut of reactions and this proves just how precious those fragrances are. I think the Mitsouko one is what is producing the questioning, since the Shalimar ones seem to be just limited edition bottles. Flankers to me mean one of 2 things :: Laziness and Laziness. There I said it again. Can'tthe creative forces 2 Guerlain do better than this ? Both lotus (pink, white and blue) and waterlily produce an absolute. They are expensive (especially the blue varieties) and don't have very much of the "aquatic" feel that some fresh waterlilies possess. Instead, they are mostly very sweet, dense and at times either powdery (pink lotus) or very indolic/animalic (white lotus in particular). They are also used in traditional and contemporary Indian attars (Indian perfumes, that are usually distilled into sandalwood oil as a base). If this raw absolute is used, than I can imagine it to be a very interesting and unusual addition to the Mitsouko original. I should probably get my hands on some of the white lotus absolute, sounds like my kind of thing. Can't say I have really smelled it in any of the attars I have tried so far, but there's always another day. It's rather confusing in that they're not exactly clear on intended audience: if Mitsouko Fleur de Lotus is a limited edition for airports duty-free or theasian market it might indeed entail those aquatic synthetics. If not, perhaps it might be something interesting indeed. I guess the press releases don't feel obligated to watch out for us, do they? I´m lookin for by "Mitsouko Fleur de Lotus" and I found your blog. Please, my friend went to Guerlain Paris and there there isn´t more this perfume. Do you know where I can find it? I´m from Brazil....so, I ´d like to buy online.